If you think that with retirement you can stop paying heed to your credit reports and scores, then you’re wrong. Even if you’re not very keen to take out a loan at your golden days, you may still need to maintain a good credit score at retirement for various reasons. Here are 6 reasons to attain or maintain a good credit score in your golden days. A rewards credit card can help you enjoy a better lifestyle, and a good score can help you achieve that. How? A good score can help you take out the best rewards credit cards, sometimes platinum-level travel cards at suitable terms and conditions. You can use this card for your everyday expenses to gather points and rewards, which you can redeem for hotel and airfare costs. So, it will help you quite a bit if you plan to visit new places after retirement. You can request your credit card issuers to increase the credit limit on your cards if your score is good. Your card issuer can automatically increase your credit limit if you’re a trustworthy customer, that is, your score is excellent. A credit limit will also help you to raise your score since your credit utilization ratio will reduce a bit. Even at your golden days, the insurance companies will consider you as a responsible person if you maintain a good credit score. A good score can help you enjoy lower premiums on your homeowners and car insurance policies. When your insurance policies are up for renewal, research your options and with a good score, you can negotiate with your insurers for better premium rates at suitable policy terms. With a good credit score, you can help your children and grandchildren to get a lower rate of interest by co-signing on loans. However, while doing so, remember that if your child or grandchild defaults on the loan, then you’ll have to repay it, failing which your credit score may get affected negatively. So, think about it before co-signing a loan. Not everyone can be fortunate to pay off their mortgage before retirement. If you’re one of them, you won’t have to worry much if your credit score is good. With a good score, you can refinance your present mortgage loan at better terms and conditions and lower your monthly mortgage payments. Even if you’ve paid off your mortgage loan and have full equity in the home, you can tap your home equity and meet your financial emergencies. And, a good score can help you take out a home equity loan or a HELOC at favorable terms and conditions. If you want to relocate to a state where you can enjoy warm weather, then also your good score can help you find a suitable property at a reasonable price. This is because usually the loan issuers, as well as the landlords, will perform a credit check to ensure that you’re trustworthy for a lease or to offer you a mortgage loan. A good score will also help you if you’re not planning to move out but looking for a rental home for few days. So, now, since you know its importance, it’s time to know how to maintain a good credit score at retirement. It’s not that much difficult. 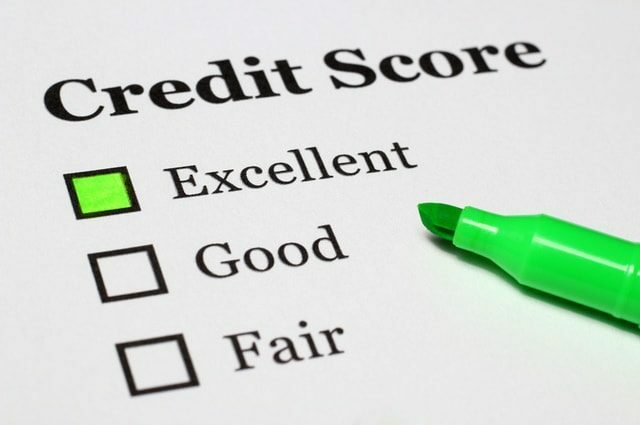 The main thing you’ll have to do is continue checking your credit reports periodically and dispute errors along with paying your bills on time. Checking your credit reports will also help you in another way. If you don’t monitor your credit reports at regular intervals, you’ll not know if you become a victim of identity fraud. Researches depict that senior adults are prime suspects in such thefts. So, check your credit reports and maintain a good credit score to enjoy a good lifestyle in your golden days.